ROUNDHAY RUNNERS ARE ON THE MOVE! We are pleased to announce the move to our new club home. Since the club was formed, our base for winter training has been Roundhay Tennis Club, which has served us very well . Due to the clubs recent growth in membership, it has been evident that this is putting pressure on the car parking and facilities at the Tennis Club. In order to support these numbers and aid the clubs development, we’ve been searching for somewhere else in the area to base ourselves. The Committee is delighted to formally announce that we are moving our Roundhay Runners base from January 2018 to North Leeds Cricket Club, located on Old Park Road. This follows a number of positive discussions with Committee members of NLCC. The partnership that we are entering into with NLCC, will provide us with a permanent base to operate from all year round. 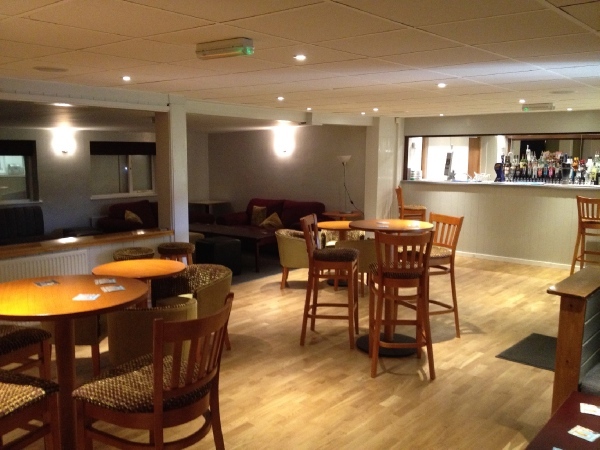 The clubhouse has recently been fully refurbished and to be based at such a great location, provides our club with opportunities for development and to raise our profile in the Roundhay Community. 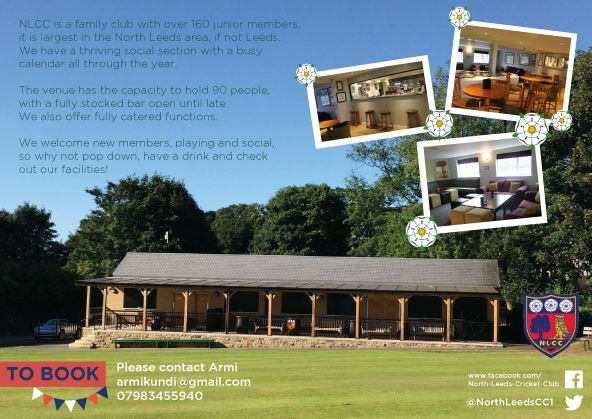 North Leeds Cricket Club are a fantastic sporting club and host a number of events throughout the year, and it is great for Roundhay Runners to have the opportunity to join them to promote health and well-being in the local area. Although we won’t have exclusive use of the building, we will be able to use it as our very own club house on Thursday club nights and enjoy the fantastic facilities, where we can train, change, drink and socialise. Before the move in January we will be having a winter training session from the cricket club to give our members the opportunity to have a look at the venue. We’re very grateful to Roundhay Tennis Club for the help that they’ve given the club over a number of years and they are very supportive of our move to North Leeds Cricket Club. We will be moving back to the tennis club on 5th October for the start of winter training and we will continue to meet there until we move to our new permanent base in January 2018. More details will follow closer to the time but if you’d like any further information about the move, please feel free to email rr.clubsec@gmail.com or talk to any member of the Committee.